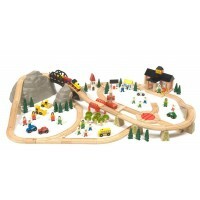 These Train sets are timeless classics and have been treasured children's toys for many generations. 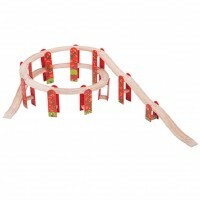 As well as being tough and hard wearing, they are also excellent toys for developing a child's imagination and motor skills. 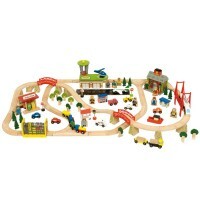 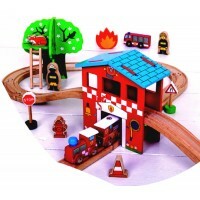 These wooden train sets are perfect for children who love trains and are happy playing alone for hours or with siblings and friends. 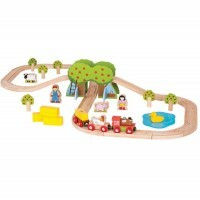 Children enjoy setting up track layouts, coupling together trains, wagons and carriages and then planning journeys, dropping off passengers and delivering cargo. 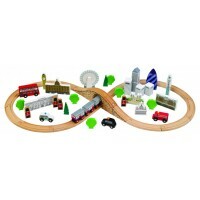 These wonderful sets from Bigjigs Rail, Melissa & Doug and other favourites have many clever features that lead to fun and engaging games for junior train drivers!